Below are links to other websites that we recommend. A gorgeous fashion range designed with the customer in mind, using fabrics that are sourced from some of the best mills in the world. Known for having clothing to suit women from sizes 8 to 16, they offer four seasonal releases, giving you a complete change of styles ranging from casual to dressy clothing that is ideal for all occasions. Their service is second-to-none, the offer an excellent personal fitting service, and are firm favourites with our walkers. Biodynamic Gardening on the South Wairarapa Coast of New Zealand. Anne’s garden can be visited on Day Two of your walk – bring $5 for entry. In an old church under a veranda of grape vines you’ll find Mint at Martinborough. A kitchen/homeware store with a vintage twist, where the passionate cook and house proud are well catered for. Lismore House is a luxury 5 bedroom colonial style property in Martinborough. Situated within the 14 acre grounds of Lismore Estate, it sleeps up to 10 people, and offers a variety of desirable areas for guests. From reading nooks galore, through to a formal dining room, outdoor barbeque area, pool, and outdoor heated spa that overlooks 12 acres of vines. It’s perfect for large groups wanting to overnight in Martinborough before or after the Tora Coastal Walk. Sophisticated, elegant, boutique accommodation that stands pride of place at the entrance of The Square in the wine region of Martinborough, New Zealand. Exclusive offer for our walkers – available from 1 October – 6 December 2018. 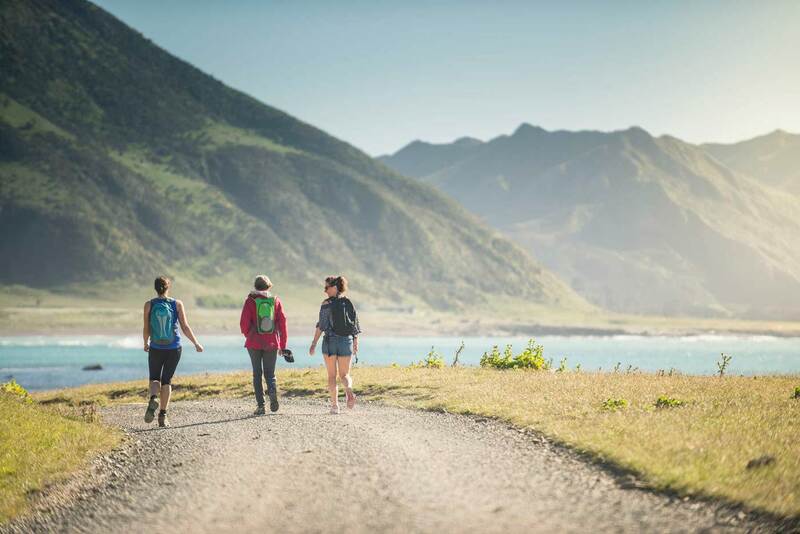 Start or finish your Tora Coastal Walk with a night at The Martinborough Hotel from just NZ$165 per night. Conditions Apply. Per room rate based on up to 2 people per room, single or twin share. Additional person – rollaway bed charge applies. Sunday to Friday, excluding Saturday. Room only rate. Garden Suite subject to availability at time of booking (valued at $239 per night), followed by next available room type. Quote your Tora Coastal Walk booking reference at the time of booking. A brand new website has been launched to help you plan your stay in Martinborough. To find out where to eat, stay and shop as well as all the latest news on what’s happening in town go to. For the most stimulating wine tasting in town make a beeline to Poppies. Beautiful platters and delicious wine in an elegant setting make this a “must do” for any visit to Marinborough. The coolest little new shop in Martinborough. Visit Sara on Ohio Street for a riot of colourful and inspiring gift ideas. Visit our very own Italian babe Elisa at 11 Daniell Street, Featherston to sample her traditional Italian fare. We recommend her beautiful take away meals – especially the Italian Meatballs!